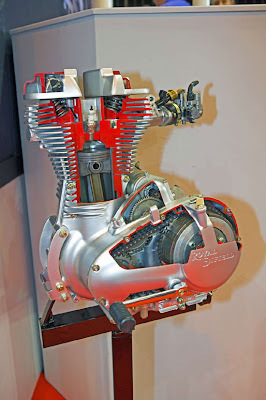 Electronic Fuel Injection or EFI can be very intimidating to the uninitiated but I think I can tell you everything you need to know to take care of the system on your new EFI Royal Enfield in one short article. The EFI system replaces the carburetor and is actually a much simpler device. It consists of an injector unit, a throttle body, a computer, and several sensors. The sensors relay information to the computer which then tells the injector device how much fuel to put into the cylinder and the throttle body how much air to insert at any given time. This allows the bike to create bike a perfect, predictable mixture. The sensors measure the engine temperature, oxygen in the exhaust stream, crankshaft position, manifold pressure, and throttle position. These sensors feed data to the computer and it, in turn, controls the precise air-fuel mixture. The result is more reliability, better driveability, improved fuel economy, lower maintenance, and a cleaner-running engine. The “bad” news is that there isn’t much to take apart or repair, but that is also the good news. People get intimidated by all of the electronics because all of the sensors and the computer make it harder to take things apart and looking for a glitch in the unlikely event that something does go wrong. EFI has been a turned into a big mystery by the industry when in fact it is much easier to diagnose and repair than a carburetor because it has so few moving parts it is so much more reliable. Typically, you take your bike/car to the repair shop, they plug in a diagnostic computer which tells them which sensors or unit are not working correctly. Since they are all electronic, this is a very easy task. You then replace the unit and you’re on your way. The trouble is that the diagnostic tools are very expensive – often running between $1,500 and $2,500 each. In our case, Royal Enfield contracted with Keihin, who is the best in the business. As you might expect, the tool required is very good, but also very expensive. However, Royal Enfield is also aware that many customers have long preferred to do their own repairs. For this reason, they insisted that a mere mortal with no special tools should be able to diagnose and repair this system. Any EFI can be made like this, but most manufacturers choose to make it a deep, dark mystery to keep the revenue flowing. Find the wire that is attached to nothing. This wire comes from the EFI “brain”. The check engine light will start to blink in a sequence of long and short blinks. For example, six short and six long. The sequence indicates which component is malfunctioning. Look in the shop manual to decode the sequence. In the example of six short and six long blinks, the sequence indicates that the crank sensor is not working correctly. Check the wiring connection to that device. If this clears the blinking, you’re done. If not, replace the sensor and then you’re done. If more than one unit is bad, when you clear the first sequence another will start but that is very unusual. The Royal Enfield is very well-mapped, which means the stock computer unit programming is excellent. It evens compensates for changes in altitude that would require jetting changes in a carburetor bike. An interesting side note is that Royal Enfield required that Keihin map the unit to over 18,000 feet. They took an instrumented to the Himalaya’s to test drive it on the world’s highest road. As a point of reference, oxygen is required after 14,000 feet in an aircraft, and most normally-aspirated planes fly no higher than about 13,000 feet. However, the Royal Enfield is used extensively at high altitudes by adventure bikers (try that with your GS1200). Those of you in Denver should be well-covered! This will take care of 98% of all repairs on the EFI unit of the Royal Enfield. Now how simple was that?! 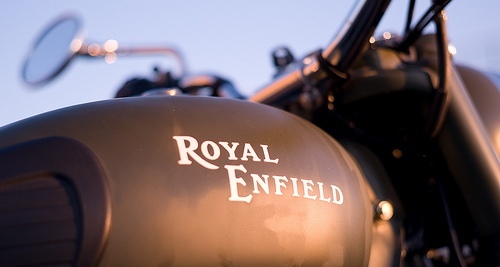 thanx for this lovely article on efi systems fitted on new generation royal enfields !! @liju congrats man... why don't you share some of your experience with classic 500 here on this site!!! really useful article, thanks, but was wondering: when you say 'replace the sensors' are these easily sourced? What is the approx cost? And can they be replaced by a mechanical simpleton like me? can u elaborate on "shop manual to decode the sequence"
can i put efi on my machismo avl 350 engine? if yes then where to get it? @Zimmy Moga I'm afraid,there is no way you can install EFI on your machismo avl 350 engine. I appreciate the great information. What would you suggest for one that is running rich? Plug is carboned up and has more soot then I've seen since they pulled the lead out of gasoline. Also the exhaust pipe is severely discolored where I assume the CAT lives. I'd guess it's unhappy with the rich mixture. No check engine light is on. What would you suggest for my G5 UCE EFI 2012 MC that is running extremely rich? No "check engine" light but the plug has more soot then i've seen since they removed lead from US gasoline. Also the exhaust pipe is discolored in a ring where I guess the CAT lives and also that it doesn't like the rich mixture.